Who Will Take Home the 2016 #CXAwards? 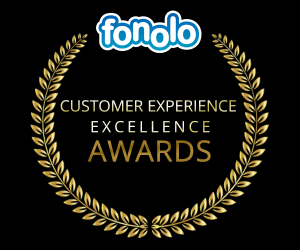 We are thrilled to announce the launch of Fonolo’s first annual Customer Experience Excellence Awards. This awards program recognizes contact centers who deliver superior customer experiences and who are dedicated to reducing customer hold-times – something we are very passionate about here at Fonolo. We have a deep history of helping call centers improve the customer experience and we look forward to celebrating the successes companies have had using our call-back solutions. Call centers that are committed to creating excellent customer experiences should be recognized,” said Daniela Puzzo, Director of Marketing, Fonolo. “Our clients understand that by replacing hold-time with a call-back they are drastically improving the customer journey, and differentiating themselves from their competitors. Winners of the 2016 Customer Experience Excellence Awards will be announced on April 5th 2016 and honorees will receive a reward on our behalf. Follow us on Twitter for the latest updates and be the first to know about the winners. 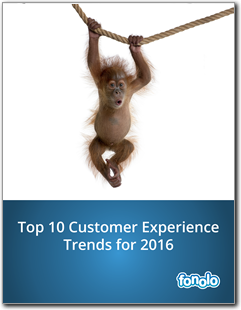 Interested in learning more about the customer experience? Here are 10 trends that will dominate 2016.